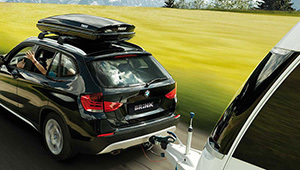 A bike carrier, trailer, caravan, boat trailer or horsebox significantly increases the wind resistance. This increases fuel consumption and makes energy-efficient driving more difficult. With a few simple tips, you can save on fuel. There are two rules of thumb for choosing the right gear if you are towing a bike carrier, trailer, caravan, boat trailer or horsebox. If you have to completely press down on the throttle to pick up speed, it is better to switch down to a lower gear. If there is a strong headwind or you are driving uphill, it is better to keep the revolutions of the engine in the area where it supplies the most tensile force. That is when the towing car is strongest and retains speed. Driving in fifth gear is not always possible if your car is towing. However, it is best to always try and drive in as high a gear as possible and to switch up to a higher gear as soon as possible. If you maintain a continuous speed with low revolutions and as high a gear as possible, that’s when your driving is the most energy efficient. As a driver, you should look ahead in order to be able to anticipate other traffic. 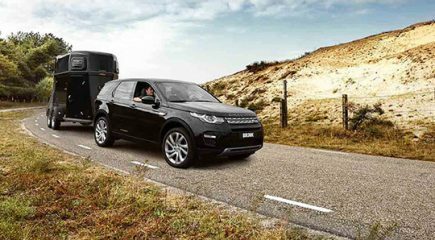 If you have to decrease your speed or have to stop, you can release the throttle in time and use the engine braking to decrease your speed. The higher your speed, the higher your fuel consumption. The best thing for fuel consumption is to keep an average speed during your trip. Short stops affect fuel consumption as well. Always turn off the engine if you’re stopping and if you start the engine, do so without pushing down on the throttle. If you are buying a caravan, you will usually decide based on size and layout. However, to save fuel it is better to select a caravan that is streamlined and sleek. The most advantageous is a low, small caravan with a rounded front. 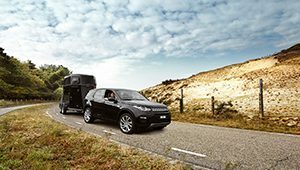 You can drive more energy efficiently either with caravan or a trailer with these practical tips.